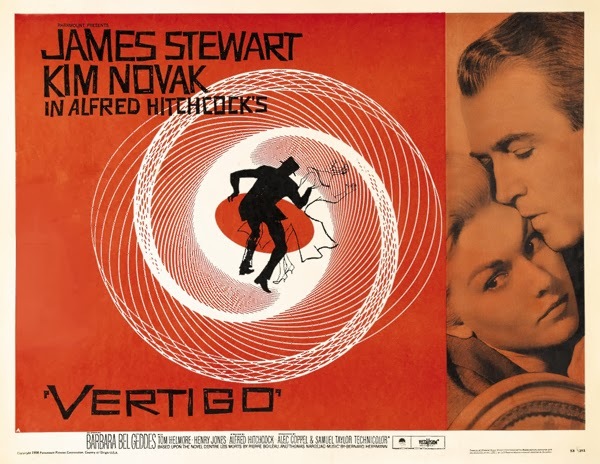 Being Retro: Vertigo... Countdown to Halloween! The eye twitching is making my eyes water. Quite possibly my favorite movie of all time. With any other actor, Scottie would seem like a creepy perv, but Jimmy Stewart is just such a decent seeming guy, that he makes the character sympathetic. Vertigo is one of Hitchcock's best movies. 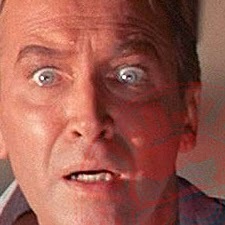 Better than Psycho, but not as good as Rear Window. Thankfully, I don't suffer from vertigo, but I do have this annoying habit of being unable to focus when I get overwhelmed and stressed by too much going on. I handle it though, and otherwise things are awesome! What a classic film. I read a radio interview with a woman who suffered from Vertigo 24/7 for months. It's a rough condition. Love all the Hitchcock films, but 'Rear Window' is up there amongst my favs. As for suffering vertigo? Once or twice, but only if looking up. Classic, for sure, but not my favorite from Hitchcock. I love this movie! I should watch it again for Halloween- that or one of his others. Hitchcock is great. One of my favourite Hitchcock films, although Jimmy Stewart's character is a bit of a jerk. I, too, have a fear of high places (from which I could potentially fall to my death) , but not to this extent.